Citation: Quantum 2, 48 (2018). A fault-tolerant quantum computation requires an efficient means to detect and correct errors that accumulate in encoded quantum information. In the context of machine learning, neural networks are a promising new approach to quantum error correction. Here we show that a recurrent neural network can be trained, using only experimentally accessible data, to detect errors in a widely used topological code, the surface code, with a performance above that of the established minimum-weight perfect matching (or blossom) decoder. The performance gain is achieved because the neural network decoder can detect correlations between bit-flip (X) and phase-flip (Z) errors. The machine learning algorithm adapts to the physical system, hence no noise model is needed. 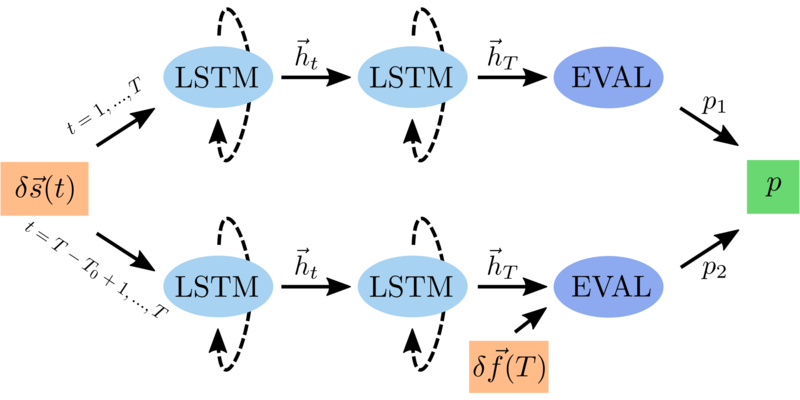 The long short-term memory layers of the recurrent neural network maintain their performance over a large number of quantum error correction cycles, making it a practical decoder for forthcoming experimental realizations of the surface code. Unlike in modern classical computers, error rates in quantum hardware are many orders of magnitude too high to complete most useful calculations. However, careful repeated measurement of small pieces of a quantum computer provides information to detect and correct errors without disturbing the calculation itself. Decoding the information to optimally detect which errors have occurred is in general a hard classical problem of pattern recognition. As machine learning techniques are well suited to this problem, a neural network is a potential candidate for an efficient decoder. Two key properties are required for such a decoder to be of use in a real quantum computer: it must be able to decode information from repeated measurements (instead of a single round), and it must be trainable from data accessible by measurement. In this work we present a decoder that satisfies both of these properties and achieves performance above the well-established minimum-weight perfect matching decoder on an example error correction scheme (the surface code). This makes the neural network decoder a potential candidate for forthcoming quantum error correction experiments. D. A. Lidar, T. A. Brun, editors, Quantum error correction (Cambridge University Press, 2013). B. M. Terhal, Quantum error correction for quantum memories, Rev. Mod. Phys. 87, 307 (2015). A. G. Fowler, A. C. Whiteside, and L. C. L. Hollenberg, Towards practical classical processing for the surface code, Phys. Rev. Lett. 108, 180501 (2012). S. B. Bravyi and A. Yu. Kitaev, Quantum codes on a lattice with boundary, arXiv:quant-ph/​9811052. D. S. Wang, A. G. Fowler, and L. C. L. Hollenberg, Surface code quantum computing with error rates over 1$\%$, Phys. Rev. A 83, 020302 (2011). A. G. Fowler, M. Mariantoni, J. M. Martinis, and A. N. Cleland, Surface codes: Towards practical large-scale quantum computation, Phys. Rev. A 86, 032324 (2012). Yu Tomita and K. M. Svore. Low-distance surface codes under realistic quantum noise, Phys. Rev. A 90, 062320 (2014). J. R. Wootton, A. Peter, J. R. Winkler, and D. Loss, Proposal for a minimal surface code experiment, Phys. Rev. A 96, 032338 (2017). N. H. Nickerson, Error correcting power of small topological codes, arXiv:1609.01753. G. Torlai and R. G. Melko, Neural decoder for topological codes, Phys. Rev. Lett. 119, 030501 (2017). R. Rojas, Neural Networks, (Springer, Berlin, Heidelberg, 1996). Y. Bengio, Learning deep architectures for AI, Foundations and Trends in Machine Learning 2, 1 (2009). S. Shalev-Shwartz and S. Ben-David, Understanding machine learning: From theory to algorithms (Cambridge University Press, 2014). A. Yu. Kitaev, Fault-tolerant quantum computation by anyons, Ann. Physics 303, 2 (2003). J. Edmonds, Paths, trees, and flowers, Canad. J. Math. 17, 449 (1965). E. Dennis, A. Kitaev, A. Landahl, and J. Preskill, Topological quantum memory, J. Math. Phys. 43, 4452 (2002). A. G. Fowler, Minimum weight perfect matching of fault-tolerant topological quantum error correction in average $O(1)$ parallel time, Quantum Inf. Comput. 15, 0145 (2015). S. Varsamopoulos, B. Criger, and K. Bertels, Decoding small surface codes with feedforward neural networks, Quantum Sci. Technol. 3, 015004 (2018). S. Krastanov and L. Jiang, Deep neural network probabilistic decoder for stabilizer codes, Sci. Rep. 7, 11003 (2017). J. Kelly, R. Barends, A. G. Fowler, A. Megrant, E. Jeffrey, T. C. White, D. Sank, J. Y. Mutus, B. Campbell, Yu Chen, Z. Chen, B. Chiaro, A. Dunsworth, I.-C. Hoi, C. Neill, P. J. J. O'Malley, C. Quintana, P. Roushan, A. Vainsencher, J. Wenner, A. N. Cleland, and J. M. Martinis, State preservation by repetitive error detection in a superconducting quantum circuit, Nature 519, 66 (2015). M. Takita, A. D. Córcoles, E. Magesan, B. Abdo, M. Brink, A. Cross, J. M. Chow, and J. M. Gambetta, Demonstration of weight-four parity measurements in the surface code architecture, Phys. Rev. Lett. 117, 210505 (2016). R. Versluis, S. Poletto, N. Khammassi, B. Tarasinski, N. Haider, D. J. Michalak, A. Bruno, K. Bertels, and L. DiCarlo, Scalable quantum circuit and control for a superconducting surface code, Phys. Rev. Applied 8, 034021 (2017). P. W. Shor, Scheme for reducing decoherence in quantum computer memory, Phys. Rev. A 52, R2493 (1995). A. Steane, Multiple-particle interference and quantum error correction, Proc. Royal Soc. A 452, 2551 (1996). D. Gottesman, Stabilizer codes and quantum error correction (Doctoral dissertation, California Institute of Technology, 1997). M.-H. Hsieh and F. Le Gall, NP-hardness of decoding quantum error-correction codes, Phys. Rev. A 83, 052331 (2011). S. Bravyi, M. Suchara, and A. Vargo, Efficient algorithms for maximum likelihood decoding in the surface code, Phys. Rev. A 90, 032326 (2014). T. E. O'Brien, B. Tarasinski, and L. DiCarlo, Density-matrix simulation of small surface codes under current and projected experimental noise, npj Quantum Information 3, 39 (2017). 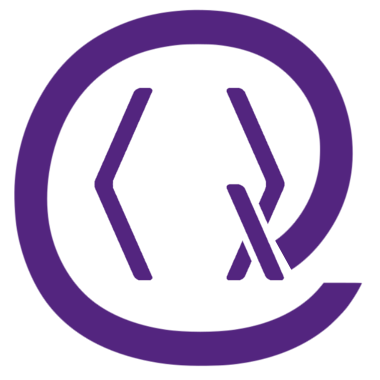 The source code of the quantum simulator can be found at https:/​/​github.com/​brianzi/​quantumsim. The source code of the Surface-17 simulation can be found at https:/​/​github.com/​obriente/​surf17_circuit. The source code of the blossom decoder can be found at https:/​/​github.com/​obriente/​qgarden. B. Heim, K. M. Svore, and M. B. Hastings, Optimal circuit-level decoding for surface codes, arXiv:1609.06373. H. Bombin, and M. A. Martin-Delgado, Optimal resources for topological two-dimensional stabilizer codes: Comparative study, Phys. Rev. A 76, 012305 (2007). A. G. Fowler, Optimal complexity correction of correlated errors in the surface code, arXiv:1310.0863. S. Hochreiter and J. Schmidhuber, Long short-term memory, Neural Computation 9, 1735 (1997). W. Zaremba, I. Sutskever, and O. Vinyals, Recurrent neural network regularization, arXiv:1409.2329. N. Delfosse and J.-P. Tillich, A decoding algorithm for CSS codes using the X/​Z correlations, 2014 IEEE International Symposium on Information Theory, 1071 (2014). B. Criger and I. Ashraf, Multi-path summation for decoding 2D topological codes, arXiv:1709.02154. G. Duclos-Cianci and D. Poulin, Fast decoders for topological quantum codes, Phys. Rev. Lett. 104, 050504 (2010). A. Hutter, J. R. Wootton, and D. Loss, Efficient Markov chain Monte Carlo algorithm for the surface code, Phys. Rev. A 89, 022326 (2014). M. Abadi, A. Agarwal, P. Barham, E. Brevdo, Z. Chen, C. Citro, G. S. Corrado, A. Davis, J. Dean, M. Devin, S. Ghemawat, I. Goodfellow, A. Harp, G. Irving, M. Isard, Y. Jia, R. Jozefowicz, L. Kaiser, M. Kudlur, J. Levenberg, D. Mané, R. Monga, S. Moore, D. Murray, C. Olah, M. Schuster, J. Shlens, B. Steiner, I. Sutskever, K. Talwar, P. Tucker, V. Vanhoucke, V. Vasudevan, F. Viégas, O. Vinyals, P. Warden, M. Wattenberg, M. Wicke, Y. Yu, and X. Zheng, TensorFlow: Large-scale machine learning on heterogeneous distributed systems, arXiv:1603.04467. The source code of the neural network decoder can be found at https:/​/​github.com/​baireuther/​ neural_network_decoder. The source code of the error model can be found at https:/​/​github.com/​baireuther/​circuit_model. C. Horsman, A. G. Fowler, S. Devitt, and R. van Meter, Surface code quantum computing by lattice surgery, New J. Phys. 14, 123011 (2012). D. P. Kingma and J. Ba, Adam: A method for stochastic optimization, arXiv:1412.6980. G. E. Hinton, N. Srivastava, A. Krizhevsky, I. Sutskever, and R. R. Salakhutdinov, Improving neural networks by preventing co-adaptation of feature detectors, arXiv:1207.0580. David K. Tuckett, Stephen D. Bartlett, and Steven T. Flammia, "Ultrahigh Error Threshold for Surface Codes with Biased Noise", Physical Review Letters 120 5, 050505 (2018). S. T. Spitz, B. Tarasinski, C. W. J. Beenakker, and T. E. O'Brien, "Adaptive weight estimator for quantum error correction", arXiv:1712.02360 (2017). Stefan Krastanov and Liang Jiang, "Deep Neural Network Probabilistic Decoder for Stabilizer Codes", Scientific Reports 7, 11003 (2017). Christopher T. Chubb and Steven T. Flammia, "Statistical mechanical models for quantum codes with correlated noise", arXiv:1809.10704 (2018). Nishad Maskara, Aleksander Kubica, and Tomas Jochym-O'Connor, "Advantages of versatile neural-network decoding for topological codes", arXiv:1802.08680 (2018). L. M. K. Vandersypen, H. Bluhm, J. S. Clarke, A. S. Dzurak, R. Ishihara, A. Morello, D. J. Reilly, L. R. Schreiber, and M. Veldhorst, "Interfacing spin qubits in quantum dots and donors—hot, dense, and coherent", npj Quantum Information 3, 34 (2017). Hendrik Poulsen Nautrup, Nicolas Delfosse, Vedran Dunjko, Hans J. Briegel, and Nicolai Friis, "Optimizing Quantum Error Correction Codes with Reinforcement Learning", arXiv:1812.08451 (2018). Pankaj Mehta, Marin Bukov, Ching-Hao Wang, Alexandre G. R. Day, Clint Richardson, Charles K. Fisher, and David J. Schwab, "A high-bias, low-variance introduction to Machine Learning for physicists", arXiv:1803.08823 (2018). Andrew S. Darmawan and David Poulin, "Linear-time general decoding algorithm for the surface code", Physical Review E 97 5, 051302 (2018). Naomi H. Nickerson and Benjamin J. Brown, "Analysing correlated noise on the surface code using adaptive decoding algorithms", Quantum 3, 131 (2019). Vedran Dunjko and Hans J Briegel, "Machine learning & artificial intelligence in the quantum domain: a review of recent progress", Reports on Progress in Physics 81 7, 074001 (2018). Nikolas P. Breuckmann and Xiaotong Ni, "Scalable Neural Network Decoders for Higher Dimensional Quantum Codes", Quantum 2, 68 (2018). Thomas Fösel, Petru Tighineanu, Talitha Weiss, and Florian Marquardt, "Reinforcement Learning with Neural Networks for Quantum Feedback", Physical Review X 8 3, 031084 (2018). P Baireuther, M D Caio, B Criger, C W J Beenakker, and T E O’Brien, "Neural network decoder for topological color codes with circuit level noise", New Journal of Physics 21 1, 013003 (2019). Christopher Chamberland and Pooya Ronagh, "Deep neural decoders for near term fault-tolerant experiments", Quantum Science and Technology 3 4, 044002 (2018). The above citations are from Crossref's cited-by service (last updated 2019-04-20 18:25:39) and SAO/NASA ADS (last updated 2019-04-20 18:25:40). The list may be incomplete as not all publishers provide suitable and complete citation data.